Honey Moon Vineyard is a small family-run grape growing and winemaking business. 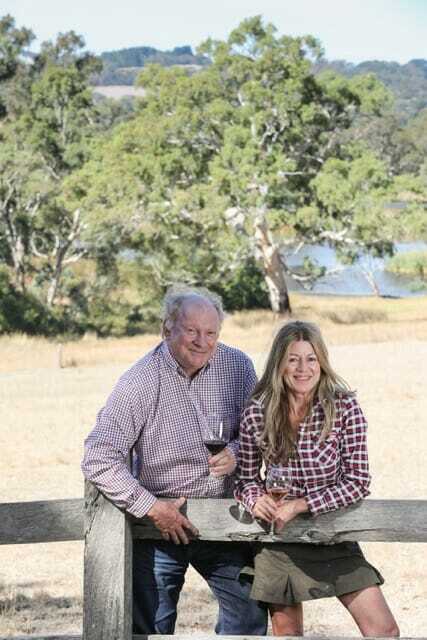 Hand-made wines by Jane Bromley and Hylton McLean. Thank you for visiting the Honey Moon Vineyard website. Honey Moon Vineyard is a small family-run grape growing and winemaking business. 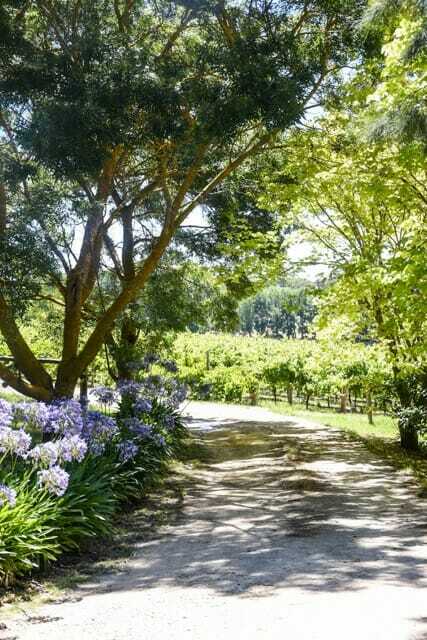 We live on our property, which includes our hand-tended and much-loved vineyard in the hills above the small town of Echunga, in the Adelaide Hills. Echunga was the first township in South Australia outside Adelaide to be planted with grapevines in (1839), just a few years after new colony was established in in (1836). The Honey Moon Vineyard was planted in 2004, very close to the original site of the first vines. All our wines are hand made by us and are based on the grapes we grow in the (Pinot Noir and Shiraz). We really care about what we do – in the vineyard, in the winery and in our interactions with customers – and are delighted at the feedback we receive about the high quality and finesse of our wines and the pleasure that they bring. Please explore the various parts of the website, and if you would like to purchase some of our wines, this is possible as well. And please don’t hesitate to contact us with any queries or comments. Jane Bromley and Hylton McLean. 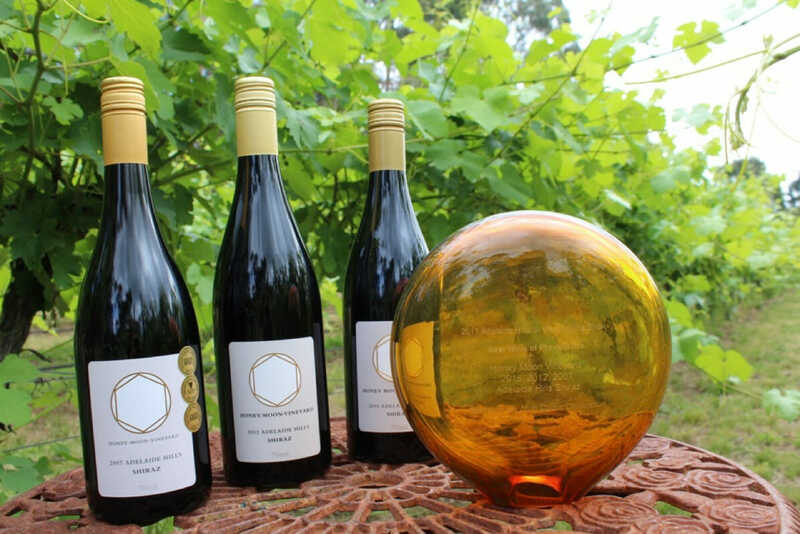 Honey Moon Vineyard is a small, vibrant, vineyard situated in the high ridges of Echunga in the Adelaide Hills, ten minutes’ drive from either Hahndorf or Mount Barker. The small settlement of Echunga was the earliest to be planted to grape vines in the Adelaide Hills, in 1839, and boasts the first South Australian wine to be exported from the colony. The moon is a striking feature in the landscape, particularly at harvest time, when, as a full moon it appears as a dollop of rich honey in the night sky. Hence the name. The vineyard was established in 2004 by Jane Bromley and Hylton McLean in fulfilment of a long held dream to have a small vineyard at our doorstep from which to make small parcels of wine. Jane had her first experience of an Adelaide Hills wine harvest in 2001, in Lenswood as a cellarhand (at the former Nepenthe, now Revenir winery), working with Peter Leske and his team. 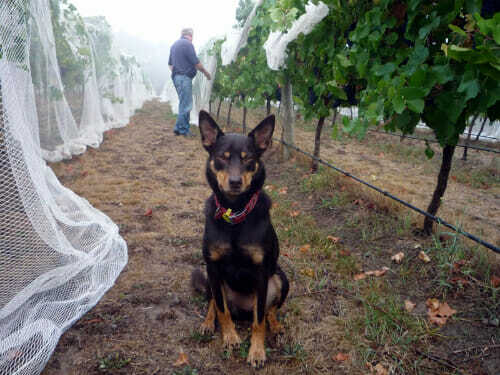 Sometime during this period she was bitten by the “pinot bug”, resulting in an ongoing obsession with the charming but endlessly tricky pinot noir grape vine; and she fell in love with the Adelaide Hills. She also has a keen interest in the wines and vineyards of France, especially Champagne, and was honored to win the Vin de Champagne award in 2002 after many years spent learning about (tasting) Champagne. She is an independent educator about Champagne, working with small groups and wine students and was awarded the Diploma d’Honneur Corporation des Vignerons de Champagne (aka the St Vincent’s Award) in 2009. Hylton McLean is a winemaker, wine science researcher and wine educator of over 20 years. He has held senior wine-making roles in a large global wine company and, before that, was a lecturer in Oenology at the University of Adelaide and Roseworthy Agricultural College for over 10 years. The other members of our team is Beau Bromley our chocolate brown Kelpie. Beau provides invaluable help in the vineyard, running up and down the rows chasing birds away and generally keeping an eye on things. He really loves harvest time – all those yummy grapes and all the frenetic activity and new people to meet. We aim to produce the best wines we can each year from our wonderful site, and to see them enjoyed as widely as possible. The Honey Moon Vineyard has a northeast aspect and relatively high altitude for the region (420m to 410m above sea level). Soils are mainly light brown alluvial loam over a deep layer of red ironstone clay. On heat summation data, our site is a little cooler than Côte Rôtie and a little warmer than Burgundy. The vineyard is close-planted and carefully managed to achieve modest yields from healthy vines supported by healthy soil. Pruning and harvesting are by hand so that the vines and grapes are treated as gently as possible. By Australian standards the vineyard is small at 2 acres “post to post”. Science and facts aside, the vineyard is actually a lovely space to be in – it has a calming and peaceful effect no matter how busy or stressed (eg about the weather!) one feels. Plantings are approximately half Pinot Noir and half Shiraz. The Pinot clones we have planted include (777, 115, 114 and GM18) these favour red table wines, however the 777 from the bottom of the vineyard is integral to our sparkling and Fancy Rosé wines. The wines of Burgundy are a great passion of ours… as are the Rosés from the Southern Rhône, and Shiraz wines from the Northern Rhône, Hermitage and Côte Rôtie. Our Shiraz clones are also interesting as they have been chosen as “massale” [field] clonal selections from two old vineyards in South Australia that are known for their spicy Shiraz characters.